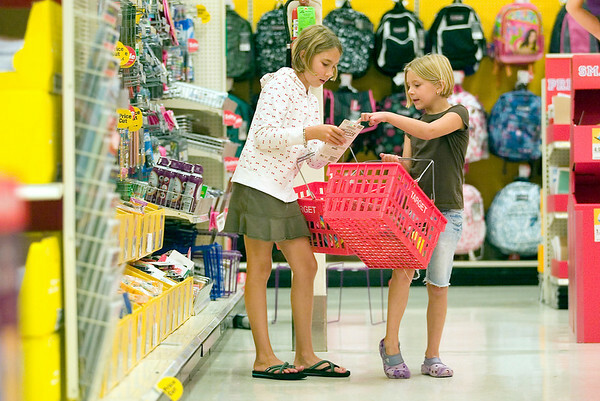 Christy Davis and her daughters Quincy, 8, and Maysa, 6, shop for school supplies at Target on Monday afternoon. The family lives in Traverse City during the summer, but spends the school year in Flushing. We always do our shopping in Traverse City, said Christy, who said the family moves back downstate the day before the girls start classes at Central Elementary School. "I like to let them feel prepared and excited about school," said Davis, who also teaches at that school.